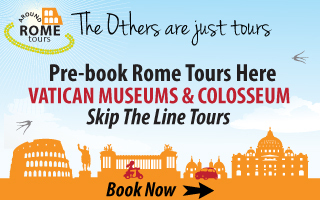 LOCATION | Serendipity in Rome, hotel, Christian churches, vacations in Rome. Idealy located on a quiet street in the heart of Rome, we are just five blocks from the central station and within easy walking distance from most attractions. We have a young, friendly staff that speak English, French and Spanish. In the Kingdom of Serendip! Exit from the right side of the Central Train Station Termini on Via Marsala (close to the platform #1), cross over the street and keep walking on Via Marghera for 5 blocks. Then turn on the right on Viale Castro Pretorio. We are located at the nr. 25 : Serendipity !